Setanta Orienteers have 2 Permanent Orienteering Courses (POC) on their maps. Both in Coillte woods in south Co. Dublin, one on HellFire and the other across the road in Massy’s Estate. Both accessed from the Hellfire carpark. The courses which were installed in 2009 are marked on the ground by wooden posts with red and white on top. Unfortunately since 2009, the POC map has not been updated and the posts on the ground have not been maintained. Both woods are working woods and Hellfire has had extensive felling recently and Massy’s has had thinning and storm damage. The markers can get overgrown with vegetation, vandalised or affected by the management works. 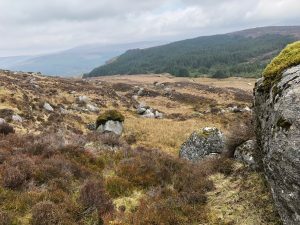 Attempts have been made to try get the POC maps on the Coillte Outdoor website updated but we haven’t managed to find someone in Coillte to do this. The maintenance of the posts on the ground is another matter. 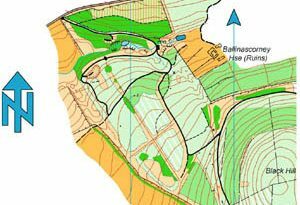 The current situation is very unsatisfactory as one is likely to have a negative feeling towards orienteering after attempting these courses. It reflects badly on Setanta Orienteers. Currently both areas are being surveyed to produce an updated map. The POC markers will be assessed and updated POC maps will be made available here, hopefully before end of October 2016.